The Internal Revenue Code says that if you receive a distribution from an IRA, you can’t make a tax-free (60-day) rollover into another IRA if you’ve already completed a tax-free rollover within the previous one-year (12-month) period. The long-standing position of the IRS was that this rule applied separately to each IRA someone owns. Earlier this year, however, the Tax Court, in the case of Bobrow v. Commissioner, held that, regardless of how many IRAs he or she maintains, a taxpayer may make only one nontaxable 60-day rollover within each 12-month period. The IRS, in Announcement 2014-15, indicated that it would follow the Tax Court’s Bobrow decision and apply the one-rollover-per-year limit on an aggregate basis, instead of separately to each IRA you own. However, in order to give IRA trustees and custodians time to make changes in their IRA rollover procedures and disclosure documents, the IRS indicated that the revised rule would not apply to any rollover that involved an IRA distribution that occurred before January 1, 2015. All IRAs, including traditional, Roth, SEP, and SIMPLE IRAs, are aggregated and treated as one IRA when applying the new rule. For example, if you make a 60-day rollover from a Roth IRA to the same or another Roth IRA, you will be precluded from making a 60-day rollover from any other IRA–including traditional IRAs–within 12 months. The converse is also true–a 60-day rollover from a traditional IRA to the same or another traditional IRA will preclude you from making a 60-day rollover from one Roth IRA to another Roth IRA. The exclusion for 2014 distributions is not absolute. While generally you can ignore rollovers of 2014 distributions when determining whether a 2015 rollover violates the new one-rollover-per-year limit, this special transition rule will NOT apply if the 2015 rollover is from the same IRA that either made, or received, the 2014 rollover. The one-rollover-per-year limit does not apply to direct transfers between IRA trustees and custodians, rollovers from qualified plans to IRAs, or conversions of traditional IRAs to Roth IRAs. In general, it’s best to avoid 60-day rollovers whenever possible. Use direct transfers (as opposed to 60-day rollovers) between IRAs, as these direct transfers aren’t subject to the one-rollover-per-year limit. 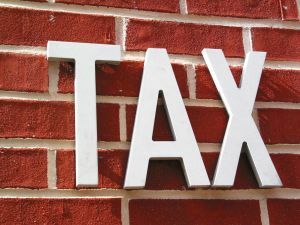 The tax consequences of making a mistake can be significant–a failed rollover will be treated as a taxable distribution (with potential early-distribution penalties if you’re not yet 59½) and a potential excess contribution to the receiving IRA.